Subaru Canada announced the introduction of Subaru.TV: a collection of content developed or carefully selected by Subaru to improve the brand identity and shopping experience while explaining the many products and services provided. “This endeavor ensures that customers will be engaged and entertained rather than distracted by the random content and competitor advertising available on regular television,” the company explained in a release on its website. In May, Subaru and partner 10net Managed Solutions began deploying a network of 42- and 52-inch Sharp LCD displays to its dealers across Canada. Powered by a Dell media server running Scala Player software, Subaru is driving unique content to distinct sales and service programming channels, which will be available in English and French. In addition, dealers running Aristo by PBS Systems Inc. and its integrated Media Suite will be able to display the status of vehicles in their service area, reducing traffic to the service counter. 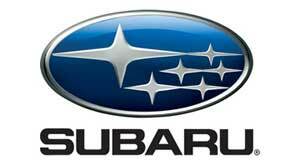 Subaru will be working with other DMS providers to offer similar integration. With two-thirds of its rollout already completed, the automaker said dealers and customers will be able to enjoy unique HD content like the recently produced five-minute sneak peek of the new 2012 Subaru Impreza, which is on track to be released this October. “We didn't want this to be another boring menu-board style deployment cycling through advertising specials and promotions,” said George Hamin, director of e-business and information systems. “We wanted to make this seem like network television. just without the competitor advertising.” With this in mind, Subaru is in discussions to secure nationally syndicated content like news and sports.